Shout out to the folks at TruckingTimes for giving us some great eye candy with these photos of the latest trends in hot trucks from SEMA. There is something to suit everyone’s accessorizing taste in this photo collage. 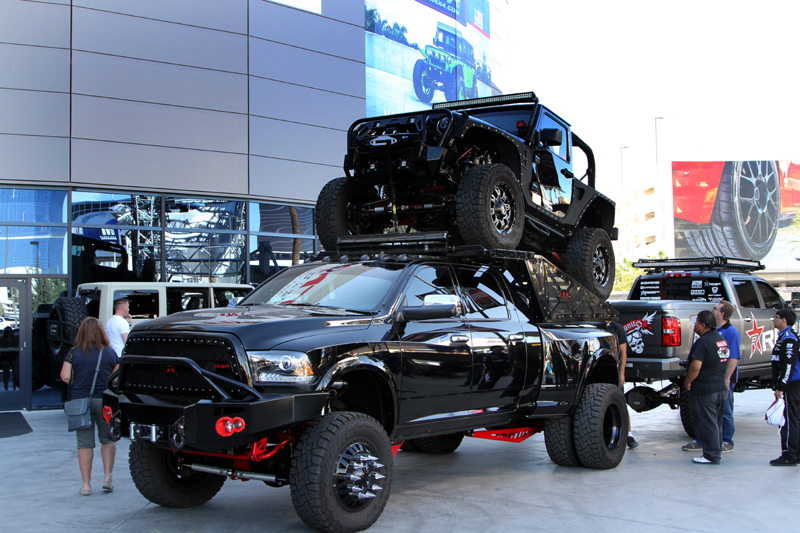 Finding trucks and Jeeps that exemplify the hottest trends in the Truck Accessory Market is easy at the 2015 SEMA Show in Las Vegas, Nevada. From lifted 4×4’s to slammed and air-bagged classic pickups, one could walk around the show and see just about anything. Jeeps are still the most popular upgraded vehicle, and this year, there was no exception to what could be done with them. Here’s some of the hottest trucks and Jeeps we saw this year. © 2019 Copyright TopperKING - All rights reserved.